← New episodes of Defending Life now airing on EWTN! 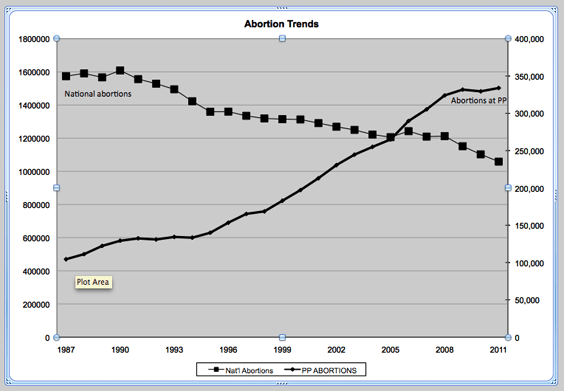 See Planned Parenthood’s abortion numbers spike upward from 1970 onward here. By 2012, Planned Parenthood had killed a total of 6 million babies, a grim milestone. Interestingly, Planned Parenthood’s escalating numbers come at a cost to mom and pop chop shops. Normally liberals oppose big business. Who can forget their Occupy Wall Street fiasco? 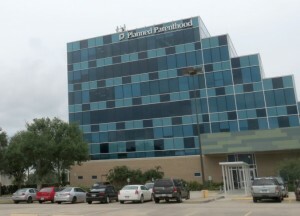 But liberals apparently don’t mind that Planned Parenthood – whose NYC base of operations is ironically not far from Wall Street – is corporate Big Abortion, running smaller private abortion clinics out of business. Peter Bours, a physician in Oregon, reports that new Planned Parenthood franchises in his area are making one of his offices financially untenable; whereas he has once provided 100 or more abortions per month in his Portland office, he now performs around 20. Referring to Planned Parenthood as “the Walmart of abortion clinics,” Bours contends that the larger providers offer inferior services…. As Planned Parenthood’s abortion numbers climb, its claim that abortion accounts for only 3% of its business becomes all the more untenable. Even liberal NPR debunked that lie, correcting that figure upward to 10%, meaning one in 10 of Planned Parenthood’s patients submit to abortions. And as sba-list.org pointed out, 37% of Planned Parenthood’s clinic income comes from abortion.